Big in Japan! ...Or not. : The Mickey and Minnie decorations are my favourites. The Mickey and Minnie decorations are my favourites. Ok, so before I get started, I just noticed the funniest thing ever. So, in the spring I was sent a CD from Stuart McLean. It's a funny CD. I've listened to it a few times. He's awesome. Anywho, for those who don't know, he's a radio host on CBC. He hosts the Vinyl Cafe every Sunday, and believe me, he's hilarious. If you don't listen, give it a try. Anywho, he's a story teller, basically. And when I popped the CD in I noticed this gem in my Windows Media Player. Anywho, hey y'all! Life's been getting better. We finally got our refund from LeoPalace and things are getting settled financially. Woooo! And to celebrate, David and I went to see the new Evangelion movie. It was pretty good, even if I couldn't understand most of what was going on. I won't spoil it, but it's TOTALLY different from the series. Like, reeeeally different. It was weird, to be honest. 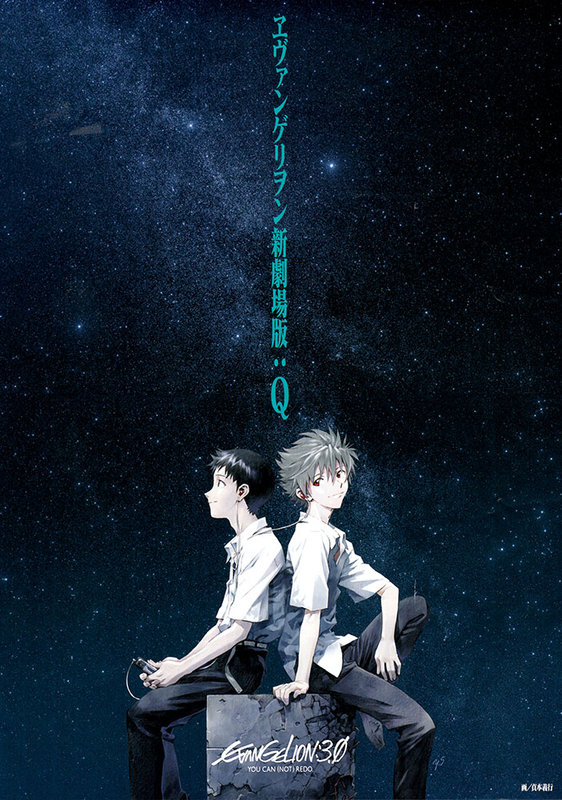 But, I really like Kaworu again after watching it. But in any case, life goes on. David and I got pizza a few nights ago, which was nice. I've finally started to watch the Big Bang Theory. I just caught up yesterday and wow. Best show ever. I find it soooo very amusing. Ahaha. Anywho, so we got pizza and David brought me home a treat. He bought me a churro! They were selling them at the bakery in the train station. Yum yum~ I also had a midnight snack of the MeltyKiss Fran sticks. Kinda like pocky, but a bit more fancy. MeltyKiss is reeeeally nice chocolate that really does just kinda melt in your mouth. I love it. Actually, David's been really sweet, bringing me home little treats when he comes home late. He brought me home a cupcake from Mister Donut! It was really tasty and it was decorated with a Charlie Brown theme. Cute! I spent an afternoon at the mall a couple days ago. I met David for lunch and then just wandered and did some shopping. I actually did my first real coffee tasting since leaving the Bux that day! I popped into the Bux for a gingerbread latte and a cranberry bliss bar and they gave me a sample of the Christmas Blend. Not a bad pair, the coffee with my bar. They balance each other out nicely, I think. Anywho~ I was there for about an hour. I brought my Kobo with my, and just read. I'm reading a biography of Queen Elizabeth right now. Or at least, the preview. Gonna buy the book once I find it on rakuten. I bought myself a new shirt and a new dress from Axes Femme. They had a massive sale on, and I got them both for a steal. Woo! And then I did some Christmas shopping. Got part of David's gift bought and did some pricing for the rest of the shopping I need to do. We ate at Saizeriya last week and we found Christmas lights in Japan! Woah! I was really excited. There was a house we walked by that had Christmas lights outside in the shape of a tree. I tried to take a photo, but as ever, it didn't turn out. Oh well. I met David for lunch today and man! Was it ever buuusy! It was crazy! The food court is massive and I think we got the last 2 seats available. Madness! I like meeting him for lunch, though. It's nice~ I brought us curry from home and we just ate and chatted. And then we went and got ice cream as a treat from the soft serve place downstairs. I also popped into Lush and bought some face care stuff. I've been told UltraBland is really good for my skin type and thought I would give it a try. It's like a clay cleanser. With exfoliates in it. Wooo! I also got some toner and they gave me a face cream sample. Wooo! They ladies were super friendly, too. One of the girls there spoke English and was really helpful. Here's hoping it works. So, that's about all from here. I'm hoping to have pictures of myself to post eventually. Ahahaha. I just realized that I never seem to take photos of myself anymore. Oops. It was really nice and festive.